It’s fall and while I am still mourning the end of summer I can’t help but get excited for the holidays. There is something about this time of year that puts people happier moods and I love it. Bring on the stews, soups, warm chai tea’s, and cookies. OH THE COOKIES. 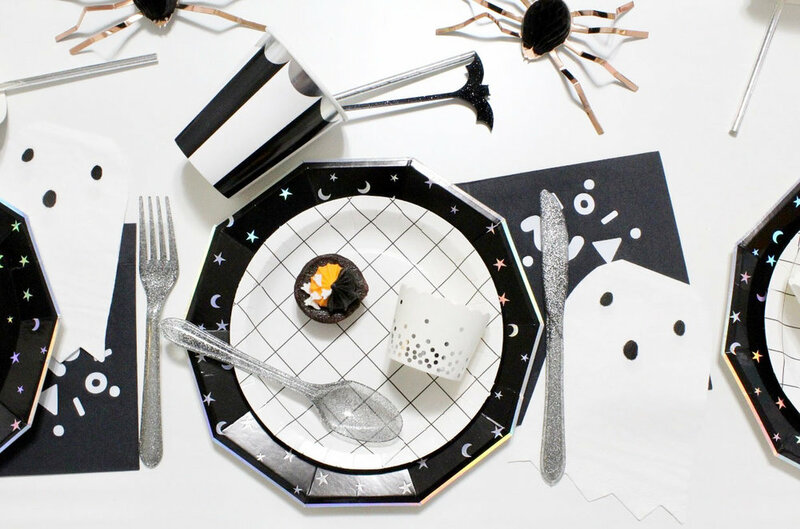 Starting off the season of holidays is one of my favorites – Halloween! As a kid, my sister and I would drag out the box of costumes that were mainly handmade by my grandmother along with leftover costume props from the past. It was so much fun and a memory I still cherish to this day. But Halloween is also one of the holidays where you can be someone else and that in itself is appealing at least once a year. 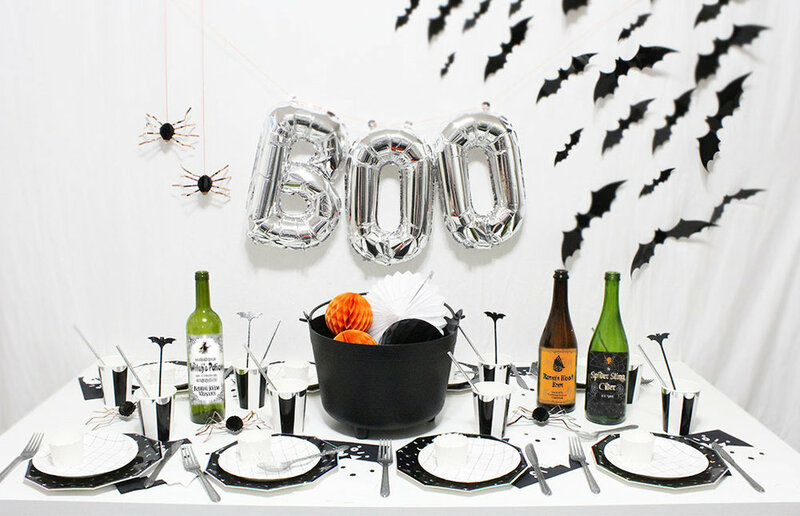 I love decorating for Halloween and wanted to share some simple, yet cool Halloween party décor inspiration that I have found on my travels. 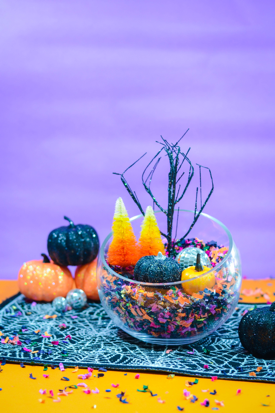 Terrariums are all the rage right now in the home décor market and The Confetti Bar has taken it to new heights with these adorable confetti filled Halloween terrariums. I never knew all the fun things that could be done with confetti until stumbling upon her site. LOVE these free skull printable. Super easy and inexpensive to make just use a frame you already have. Get this and other free printables here. 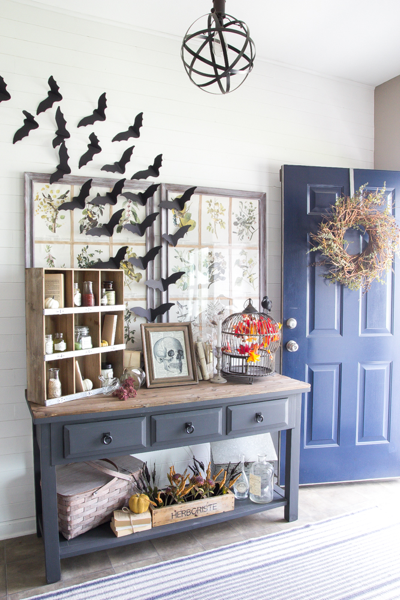 There is something whimsical about these bats and I have always loved wall décor that is more abstract. I found these on Made Everyday with Dana and was inspired because they are easy to make; although they can be time consuming. Want the easy way out? These bats come in our Halloween Party Box ready to stick to the wall. If you don’t have a Steamwix Candle you need one! Not only are they 100% pure soy candles but many of them are scented with essential oils. YAASS! They are a local company out of Gig Harbor, Washington and have this cool punk rock theme you will find through the names of their candles. Pictured is “Basic White Girl” which is a classic pumpkin spice smell.